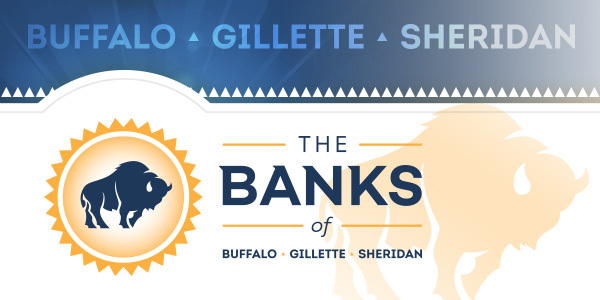 The Banks of Buffalo Gillette Sheridian - Welcome to our family of Wyoming Banks! Due to emergency travel restrictions on December 31, our branches will close at 2:00 PM MDT. It is important to recognize and understand the growing trend of fake check scams. Welcome to our family of Wyoming Banks! Since 1936, Buffalo Federal Bank has been a cornerstone of the Wyoming community providing local families and businesses with honest, straightforward, reliable service. Under the guidance of our Wyoming Board of Directors, we have always been able to make decisions based upon the best interests of our customers and local communities. We have been able to maintain a strong financial position, provide innovative solutions and employ the best people in the business to take care of our number one asset, our customers. All the convenience, none of the hassle. Whether it's a 30-year mortgage or a 5-1 ARM, we can get you financed. We've got three convenient locations to suit you.